& Get The Lowest Prices in the Brunswick County Area! 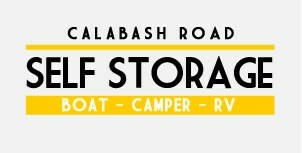 Self Storage of Calabash NC of Brunswick County delivers complete self-storage services and features to meet all of your needs. You'll feel confident about the security of your possessions - even in inclement weather - and you'll feel safe when you visit us to access your space. For highlights of the services and features at our two other locations in Winnabow and Boiling Springs Lakes, visit our map on the Locations page. Rent a unit and & get a lock free!